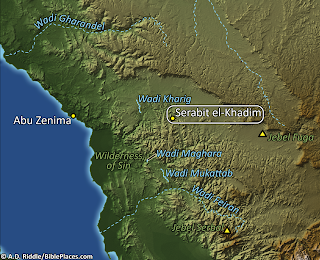 Our picture of the week focuses on the obscure site of Serabit el-Khadim in the Sinai Peninsula. This is not a place that you will visit on your typical tour of Egypt. In fact, it was not a place that even many ancient Egyptians would have visited! Pictured below are the ruins of the Temple of Hathor that stood at this site and the scorching desert of the Sinai spreading out below it. Starting with a small shrine within a cave, this temple complex grew larger and larger over the course of several hundred years as successive Pharaohs each added their own special touch. 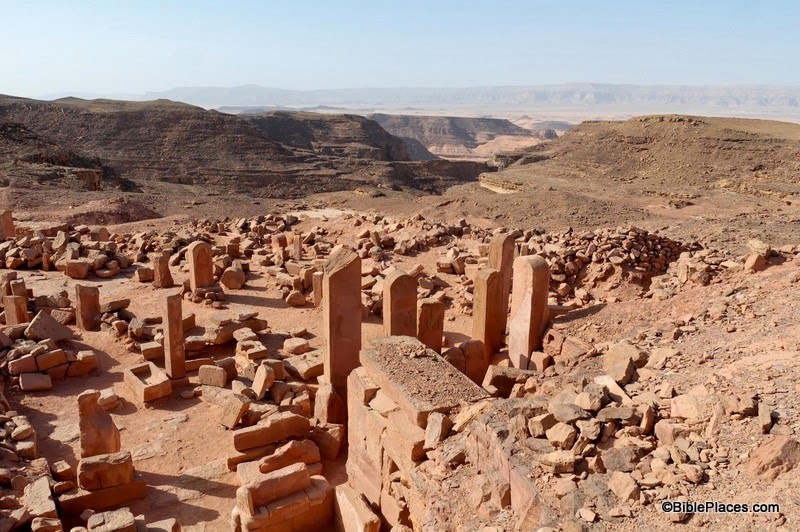 During the excavations an early high place, and a series of temples that replaced it, were revealed within a temenos (enclosure), 200 feet by 140 feet in area. The original Egyptian shrine consisted of a cave sacred to Hathor, goddess of the land and of minerals. In front of the cave a portico was constructed, and then a large court; and further shrines were added during the long Egyptian occupation of the site. Within the temenos were caves dedicated to other deities, such as the moon-god Thoth. The temple of Serabit el-Khadem had been enlarged repeatedly. Continuing the process, Sethos I, founder of the 19th Dynasty, extended it. Rameses II and Merneptah are also recorded in the temple, as is Rameses III of the 20th Dynasty. At the beginning of the 21st Dynasty the mines of Sinai went out of use once more. This map and photograph, along with over 1,000 other images, are available in Volume 7 of the Pictorial Library of Bible Lands, available here for $34 (with free shipping). 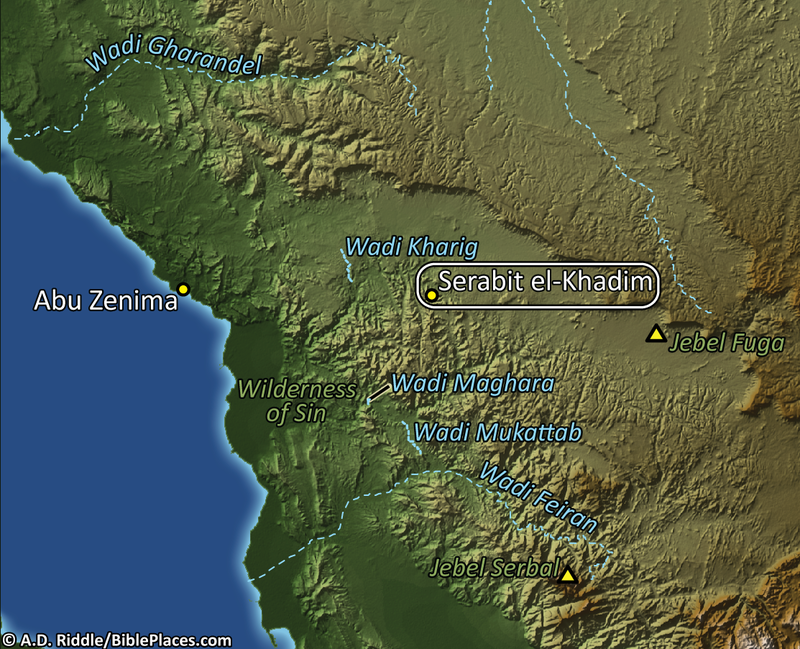 Excerpt is taken from "Serabit el-Khadem," in The Archaeological Encyclopedia of the Holy Land, Logos Edition, ed. Avraham Negev (New York: Prentice Hall Press, 1990).